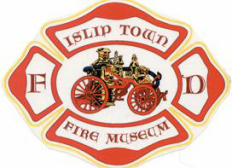 The Islip Town Fire & EMS Museum and Education Center will be hosting a fundraiser training seminar "Command & Control - The Chief's Role" presented by FDNY Deputy Assistant Chief Tom Richardson on Saturday, September 8th. Seminar will be held from 9 AM - 12 PM at the Bayport Fire Department Headquarters located at 251 Snedecor Avenue in Bayport. Immediately following this seminar,we will be holding our annual Chili & Chowder Cook-off at the pavilion on the Bayport FD grounds - we hope you will join us for food, fun and live music! Tom Richardson is a Deputy Assistant Chief in the FDNY with 37 years of service, presently assigned as the Chief of the FDNY Fire Academy. A 40 year member of the Deer Park Volunteer Fire Department, he has served as the Chief of Department both in 1999-2000 and 2009-2011. In addition, he has been a Deputy Chief Instructor at the Suffolk County Fire Academy since 1991. His formal education includes a Masters degree in Homeland Security Studies from the Naval Postgraduate School in addition to a Bachelor’s degree in Community and Human Services. He also completed FDNY’s Fire Officer Management Institute, a Columbia University Executive Leadership program and the FDNY/USMA at West Point Combating Terrorism Program.